Author note: Wear rubber gloves while applying the gochujang paste to the cauliflower. Turn the oven to 400 degrees. Place a cast iron skillet or a rimmed sheet pan into the oven. Place a pan of water on the bottom rack of the oven. 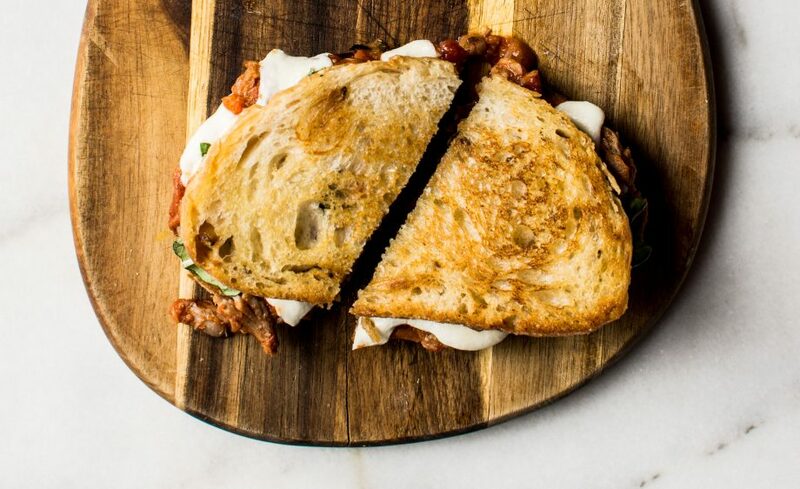 Place the cauliflower on a cutting board or baking sheet (line with foil for easy cleanup). Smoother and cover the exterior of the cauliflower with the sesame oil, then with a generous amount of gochujang paste. Flip the cauliflower facing downward (top-side down) on the baking sheet. 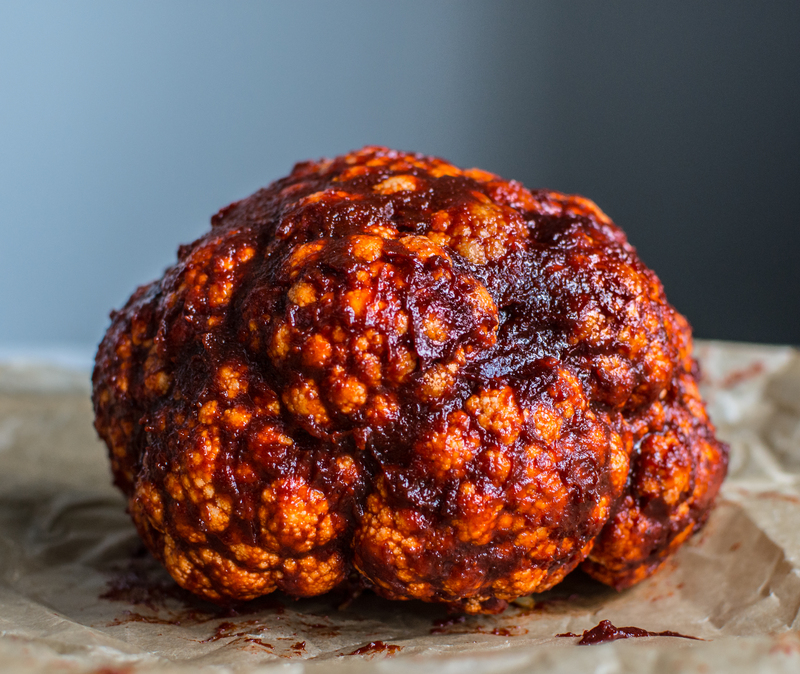 Pour ¼ cup of gochujang sauce into the interior of the cauliflower. Let sit for 15 minutes. Turn right side-up. Reapply additional paste to the top of the cauliflower where some may have been smeared off. Place the cauliflower onto the hot cast iron skillet. Cook for 35-45 minutes, or until easily pierced with a knife. To brown the top, turn the broiler on and broil for 1-2 minutes. Remove from the oven and slice whole. Top with gochujang sauce and chopped chives. Place all ingredients into a small sauce pan. Bring to a boil over medium high heat and continue to cook until the sauce is thickened, about 5 to 8 minutes. This entry was tagged a pleasant little kitchen gochujang cauliflower, APLK cauliflower recipe, cauliflower, gochujang recipes, gochujang whole roasted cauliflower, gouchujang cauliflower, spicy cauliflower, whole roasted cauliflower. Bookmark the permalink.